It is no longer news that a single source of income is never enough to cater to one’s expenses in a dynamic environment like ours. 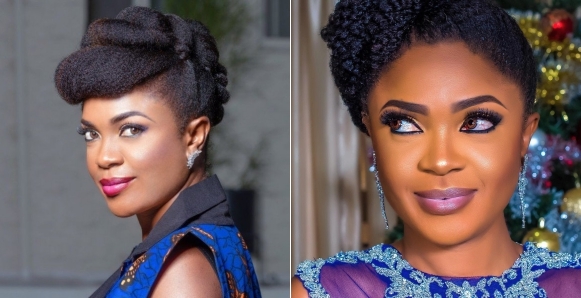 Filmmaker and author, Omoni Oboli wrote a lengthy message on her page, revealing how her mother had various streams of income while they were growing up and this helped shape the woman she has become. The mom of 3 says 2019 is a year she wants to motivate people to have startups while also disclosing some of the ways she makes money apart from acting. My name is Omoni Oboli and this year, I’ve decided to motivate as many of you as I can, to think outside this box! I’m a filmmaker…I run Dioni Visions Entertainment, a content production company. The film industry in Nigeria is tough! I won’t lie. Distribution and piracy chief amongst the many issues that plague us but God will strike me if I say I don’t make money from movie production. I have been blessed to be amongst the few studios who break even and make a profit. You see, my mom was a school teacher. She also had a farm and every Sat, we went there to plant, weed, harvest cassava, yam, corn etc. She also sold sea food, going to the sea port some evenings after work to buy bags of sea food which we had to wash, sort and bag. We fried chin chin and groundnut which we bottled and sold. My sister and I woke up with her at 4am every morning to make pastries in bulk that retailers came to pick up before 7am when we had to get ready for school so you see, I was taught very early to be hardworking and not depend on just 1 income. Aside from content production, I run arguably the biggest movie and tv lighting (and some equipment) rental business in Nigeria. The biggest productions rent from us (I brag). But I haven’t stopped there, I wrote a book that sold thousands of hard copies and is still selling on amazon giving me royalties. Working on my 2nd book already! I also have a thriving fashion line @omoniobolibyave with my business partner @ayovanelmar. I’m working on a few products (too early to mention) this year that by God’s grace will sell like pure water. The thought alone gives goosebumps! You’ve already heard about @omoniskitchen. We have sponsors lining up! God is good! I’m not superwoman. I know peeps who do more so trust me, if I can, you can do even more! So get up!